If there is one thing I can never get enough of, it is cake. 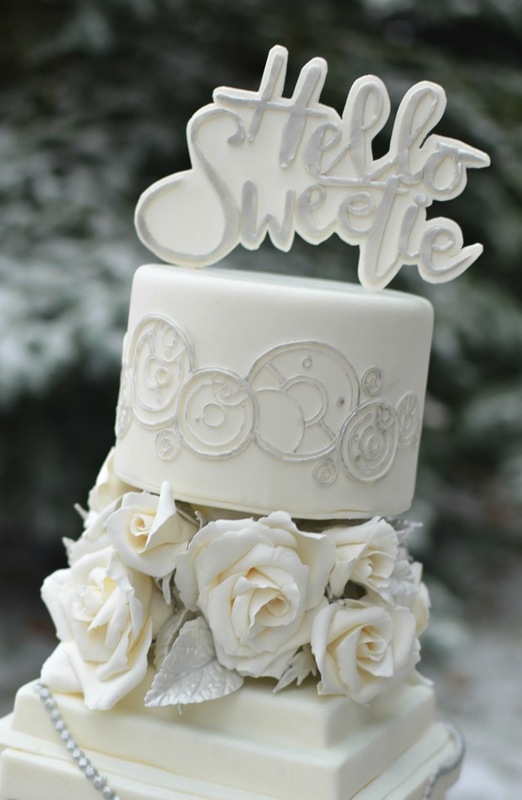 I don’t care if its white cake or chocolate cake or whatever, I just love cake! Well, at least I love it when fondant isn’t involved (something I’m sure you guys know by now and likely agree with me about). 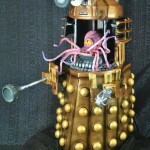 One other thing I just can’t get enough of is Doctor Who so when the two combine, I always love the results! 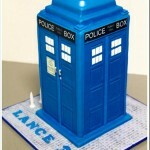 In this particular case, I’ve come across a beautiful Doctor Who Husbands of River Song wedding cake! 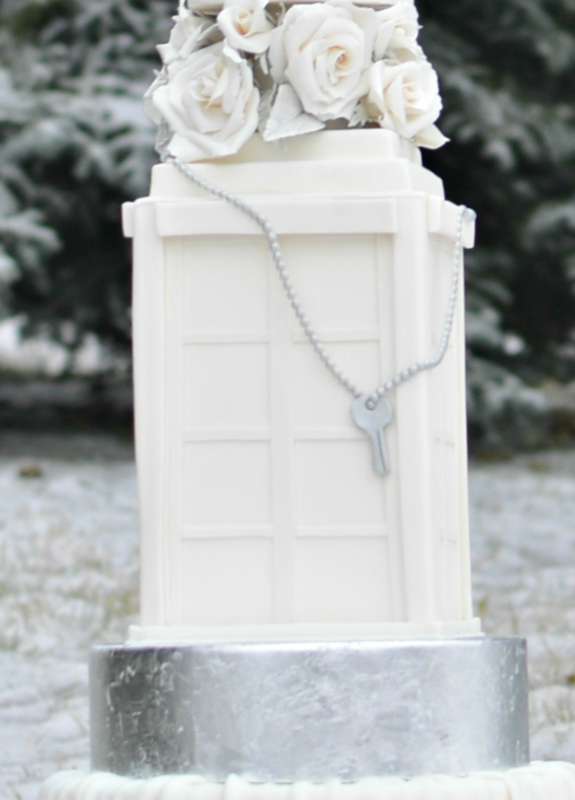 This elegant and beautiful Doctor Who Husbands of River Song wedding cake was created by Heather McGrath from Cakeppunk. 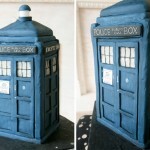 This Husbands of River Song wedding cake is topped by River Song’s “Hello Sweaty!” greeting, then a layer featuring some Timelord writing (feel free to leave a translation in the comments below if you have any idea what it says), some flowers, then a TARDIS with a key followed by a couple more layers. 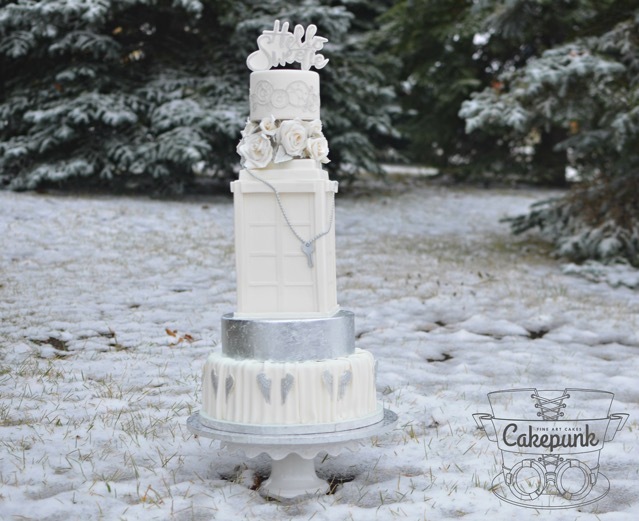 Heather made this cake for the cake collaboration known as A Merry Whovian Christmas. I’d say she made quite a fantastic contribution to the collaboration! Below are a few more pictures if the one above just isn’t enough! 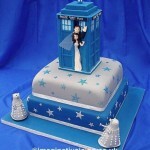 Speaking of Doctor Who wedding cakes, if you like this but prefer something a little more colorful, I suggest checking out this amazing Doctor Who wedding cake that I posted a few years ago. I think it is still probably my favorite because of all the Doctor Who elements it showcases. 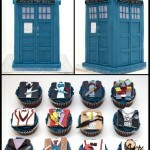 Make sure to share this with any Doctor Who fans and wedding cake lovers you know! 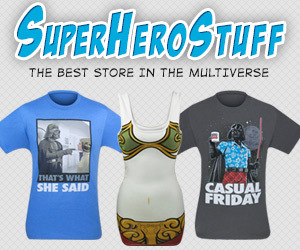 Make sure you like Global Geek News on Facebook and follow us on Twitter too because I share stuff exclusively on those social media sites too!